Once the balloons lift off, the day has just started. 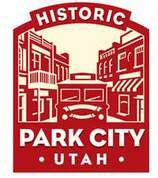 We encourage you to stay the day (or night) and enjoy all Park City has to offer this time of year. We've highlighted a few of our favorite activities below. Additional restaurants open for lunch & dinner. Explore Historic Park City and visit locally owned boutiques and galleries. Enjoy the Park Silly Sunday Market, an eco-friendly, family friendly, open air market, street festival and commUnity forum where neighbors and friends come together to celebrate our commUnity of fun and funky Park Sillians. The Silly Market is held from 10 a.m. until 5 p.m. Enjoy the Summer Activities at Park City Mountain Resort. Share your Autumn Aloft photos on social media using the #AutumnAloft! 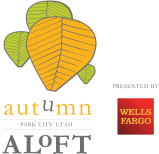 You could win official Autumn Aloft swag. Learn More.